We're thrilled to learn that Chatsworth East International School is using Secrets of Singapore as a guide to Singapore history in one of their Year 3 units! Hooray! 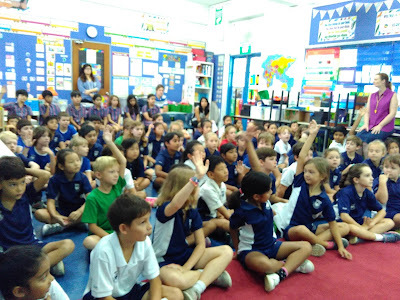 The authors spoke to a very eager bunch of Year 3-5s yesterday and the kids had a ton of questions. Always great to see such enthusiasm for books!